Cloud computing shares distributed resources at various levels (SaaS/PaaS/IaaS), and can present challenges in operating a secure environment, forcing CIO’s and agency heads to address questions about cloud migration, such as: What will be the impact on my agency’s legacy applications? What challenges do I need to overcome to be successful? What strategies will help my agency overcome those challenges? Learn how to migrate to the cloud through a 5-step process that embeds security at every stage, ensuring a successful cloud migration. Urine drug screening and genetic testing are ongoing areas of concern for fraud, waste and abuse (FWA) investigators. This session will familiarize investigators with common schemes found in laboratory claims data and provide effective methods for detecting, preventing and responding to healthcare fraud. Additionally, this webinar will examine documentation requirements to support payments for drug screenings, as well as review the key components necessary to conduct a thorough medical review and to write a clear, concise audit findings report. This session will familiarize investigators with the connection between healthcare fraud schemes and financial crimes, and fraud’s increasing importance in organized crime. This webinar will examine case study examples and provide effective techniques for detecting, preventing and responding to healthcare fraud, as well as practical advice for leveraging law enforcement partnerships in support of identification and recovery of misappropriated assets. Dermatology is a complex clinical specialty comprising hundreds of procedure codes for surgical services related to lesion removals, biopsies and excisions. This session will familiarize investigators with dermatology’s complex clinical coding issues by reviewing accurate reporting requirements and specific sections of the National Correct Coding Initiative, or NCCI. Our experts will also demonstrate applicable data mining techniques. With dramatic increases in prescription opioid availability, usage and spending, this session will explore popular fraud schemes associated with drug abuse and discuss effective data mining to identify such behavior. This session will help investigators combat the opioid epidemic through discussion of contributing factors of opioid availability, common fraud schemes used by drug seekers and Federal and State intervention strategies aimed at reducing prescription opioid abuse. With attributes, variables and clusters, even the vocabulary of statistical sampling can be challenging to the lay investigator. However, proper understanding and command of these terms is essential to mastering the tools and techniques necessary for preparing statistically-valid random samples. This skills-based webinar will review important sampling terminology, the benefits and applications of sampling to healthcare audits and investigations, and include demonstration of preparing a sampling data set with OIG’s commonly-used RAT-STATS. Building and maintaining an effective pre-payment claims review program can be challenging without leveraging prior inappropriate billing patterns or checks against fraud trends that were previously identified during post-payment claims reviews. In this session, participants will learn the importance of gathering and leveraging information from post-payment reviews to significantly strengthen pre-payment review programs, as well as the use of ICD-10 codes and outliers that can help generate new leads based on current billing trends and better address claims system vulnerabilities. As budgets decline and workloads increase, managers need information presented in a clear, concise way to make decisions. Retrieving medical records from providers can be the most challenging aspect of the HEDIS hybrid measure season and its success can have the most direct impact on hybrid rates. Learn ways to improve your chart retrieval processes to increase your success at receiving your member’s medical records during the busy HEDIS season. In this session, participants will gain a better understanding of documentation and coding requirements for OB/GYN services in order to identify potential areas of fraud, waste and abuse. Participants will gain an understanding of current and trending schemes in pharmacy fraud such as compounding, inappropriate provision of non-approved FDA products, and prescription discount programs. Based on our extensive integration experience and deep partnerships with a broad array of cloud service providers, General Dynamics Health Solutions supports customers in identifying the right solution to meet technical requirements, business functionality and budget. Whether you are moving to the cloud, already in the cloud or managing multiple clouds, we can guide your organization to the optimal solution for your unique mission and budget. Today’s challenging healthcare environment demands that we find new ways to improve the quality of care, ensure efficiency and transform healthcare services. Learn how General Dynamics Health Solutions helps organizations successfully navigate this changing landscape and thrive in a new world committed to measuring outcomes and value. 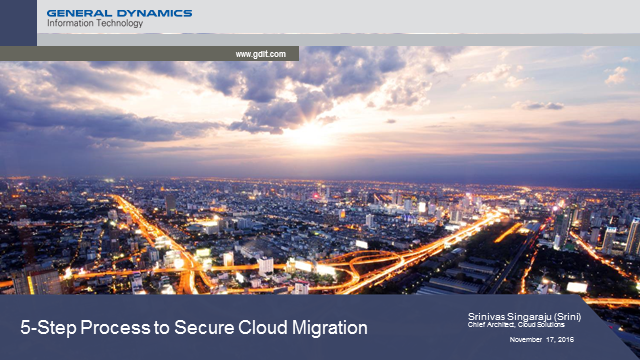 Whether you are moving to the cloud, already in the cloud or managing multiple clouds, General Dynamics Health Solutions can guide your organization to the optimal solution for your unique mission and budget. Offering a portfolio of cloud solutions, we provide the choice and confidence to select the most cost-effective, functional and low-risk environment to meet business needs and requirements. In the absence of fraudulent providers’ confessions, data analysis is the backbone of successful FWA investigations. This session explores effective techniques for spotting red flags, using associated data analysis techniques, and detecting FWA across various provider specialties from different angles, including pooled data and public records. Learn how using actionable data can optimize healthcare management. Arkansas Medicaid Medical Director, Dr. William Golden, addresses Arkansas’ successful Health Care Payment Improvement Initiative. Discover our end-to-end health solutions helping organizations expand insight, ensure value and improve outcomes. Expanding Insight. Ensuring Value. Improving Outcomes. General Dynamics Health Solutions, part of General Dynamics Information Technology, provides end-to-end solutions and professional services to health organizations in the defense, federal civilian government, state and local government, commercial and international sectors. Headquartered in Fairfax, Va., with major offices worldwide, company capabilities include Health Data Management and Analytics, Multi-Channel Health Communications, Health Facility Outfitting and Logistics, Clinical Staffing and Medical Research Services, Healthcare Administrative Services, and IT Services and Infrastructure.